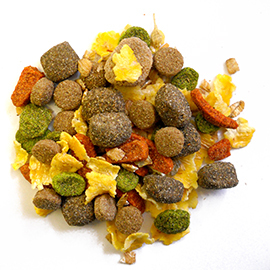 A nutritionally complete balanced adult maintenance diet in a combination of muesli, crunchy kibbles and meaty chunks. 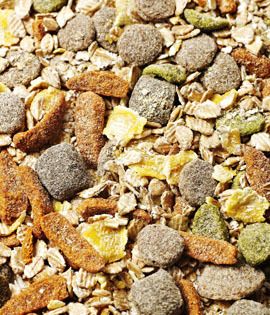 Crunchy Muesli Mix - delicious flakes of muesli made with cooked wheat, sweet corn and barley. 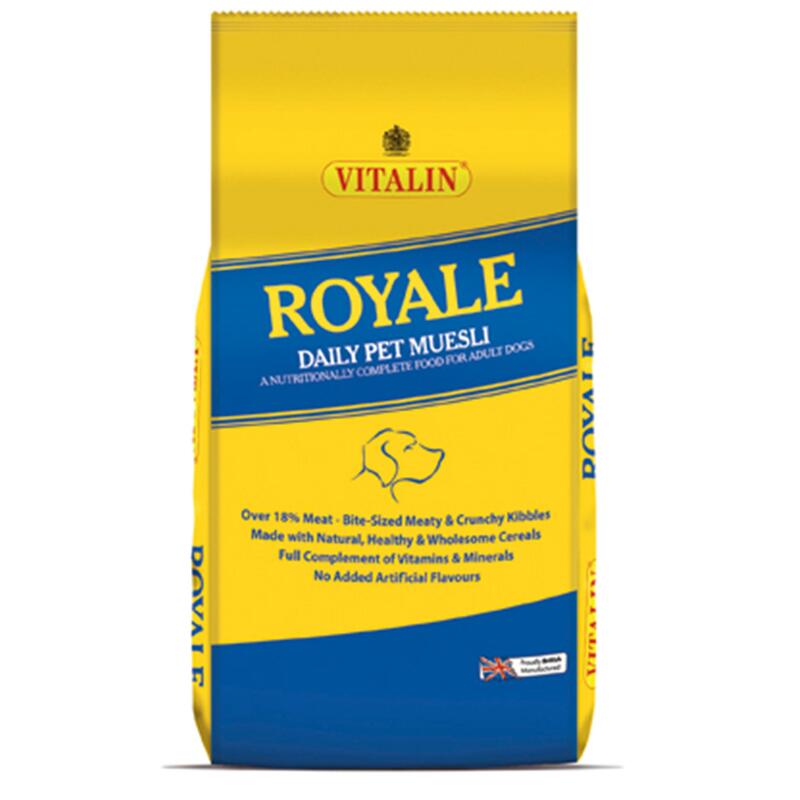 Complete Balanced Diet - perfectly formulated mix ensures that your dog will thrive on Vitalin Royale. 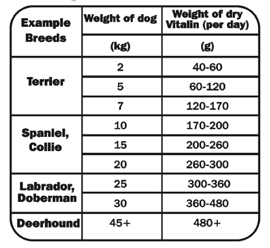 Pet Maintenance Formulation specifically formulated for adult dogs with normal energy requirements - made with meat, marrowbone and cereals to provide the correct balance of proteins, carbohydrates, fibre, calcium, oils and all of the essential vitamins and minerals your dog needs for a happy, healthy, active life.